Upper Normandy (Haute Normandie in French) was created as an official region in 1956, when it was classed as distinct from Lower Normandy (Basse Normandie). Its connections to the UK go back a long way. Today, the region is twinned with the London borough of Redbridge, further strengthening the ties. Upper Normandy is split into two by the River Seine, as is its capital city, Rouen. Rouen, is packed with heritage, and boasts the tallest cathedral in the country. Upper Normandy has often been overlooked by the British as a location for property. We arrive, and rush west to Brittany or south to the sun. However, the region has so much to commend it that it's more than worth staying around! Upper Normandy has beautiful countryside, a lovely coast and historic towns. 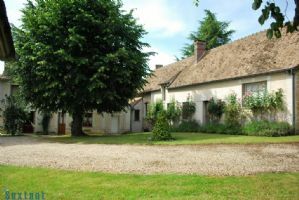 Property in Upper Normandy is not necessarily cheap, but there are some wonderful properties to be found. Norman houses are frequently found with attractive external timbers, and are chocolate box pretty. It's a very agricultural region, and many properties come with their own land. So it's perfect if you have horses (Horses in France) or livestock. One of the attractions of the region for British buyers is the ease of access from the UK. It's really just a hop across the channel to the ferry ports of Le Havre and Dieppe, so carefree weekends are on the cards at any time. Then you can also fly to Paris Beauvais, should you prefer to travel by air. Calvados, cider, cream and cheese heaven! The Upper Normandy gastronomy is another attraction. It has to be one of the richest and most delicious in France! Waistband busting delights like creamy cheeses, thick cream, salted butter, refreshing cider and fiery Calvados brandy vie with fresh fish and seafood to tempt you wherever you happen to be in the region. Upper Normandy has some glorious examples of character French properties. So if you want something a little bit special, it's a super region. We've found some great properties, built in traditional Norman style that we're sure you'll love. (Property in France - Types of houses in France). 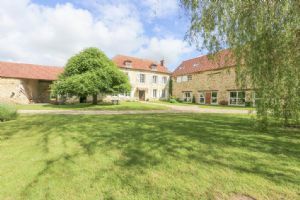 Upper Normandy is a fabulous choice for equestrian properties (Equestrian property in France). The climate suits horses well, and the lush pastures of the region make perfect grazing for horses. There are a lot of equestrian events in Upper Normandy to attend as well. The economic situation has been a little confusing over the last few years, and many people have been holding back from buying property because they aren't quite sure what to make of it. However, the situation works in favour of British buyers looking for property in France. Prices are being reduced, and both agents and private sellers are being more realistic about pricing than in previous years to achieve sales. 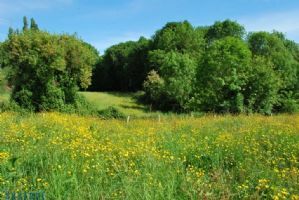 Situated in a quiet area in the commune of Villez sous Bailleul, this beautiful 1429m² site offers a very pretty unobstructed view over the countryside. MUST BE SEEN Fees charged to seller Sales Agent Sextant France - Sophie Ledin agent for LA CHAPELLE REANVILLE - ref. 6194 Fees charged to seller. Click the blue MAKE ENQUIRY button and enter your details to receive more information about this property and to be put in touch directly with our local agent, Sophie Ledin. An old farm, 147m2, built on a beautiful, fully fenced, 1695m2 site with several outbuildings: Comprising, on the ground floor: Entrance hall, fitted kitchen, living room/dining room, bathroom, laundry area, toilet. On the first floor: Large landing,2 large bedrooms. 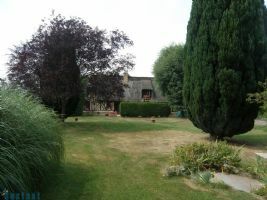 Outside: 1 large 87m2 barn, cellar, boiler room, garage, workshop. A property with lots of character! Cergy is a bustling city of the Val-d'Oise department of the Ile-de-France region. 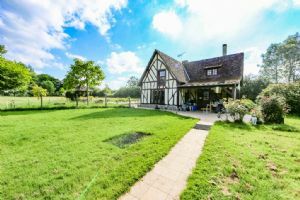 Close to HONFLEUR and the Pont de Normandie (15kms), 4kms from the autoroute, an authentic 135m2 Normandy style thatched cottage, comfortable and beautifully decorated, on a 2000m2 fully fenced and wooded site, close to shops: 11m2 entrance hall, very beautiful 41m2 Normandy style living room/dining room with fireplace, historic terracotta features, programmable electric heating system, 17m2 equipped kitchen. Ideal for those drawn to the quaint, old world feel of a thatched cottage. 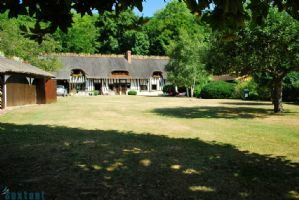 An authentic Normandy style house, superb 170m2 thatched cottage, located in a prestigious residential area, built on 1680m2 a flat wooded garden, garage, workshop, laundry area attached. At the back of the house, there is an attached 13900m2 site, partially wooded, with an unobstructed view over the region, all magnificently well maintained, thatch fully replaced 5 years ago. This property complex is located in a charming village 10 minutes from Pacy sur Eure and 50 minutes west of Paris. It includes an old 15th century priory with adjacent traditional stone house (partly renovated), a barn used as a garage, workshop and woodshed. 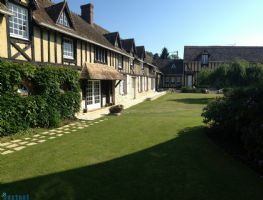 The priory offers 210sq m of living space. The ground floor provides a living/dining room (around 58sq m), fitted and equipped kitchen, study, shower room and WC. Outstanding! rare on the market! 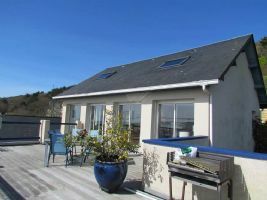 You will be seduced by the exceptional views of the harbor, the sea and the city of Fecamp offers this beautiful house is combining both volumes, comfort, functionality, brightness and calm. Its large open living room onto a terrace of 50 m and its 5 bedrooms can accommodate easily a large family or friends. Garage. This mansion from the Directoire era (built in 1790!) sits on a 3.98ha park with century-old trees, is bordered by a river, and includes an outbuilding (to be used as a doorman's building or a guest house). The primary residence includes historic tiling and 'Versailles' wooden flooring: on the ground floor, there is an entrance hall, a living room with fireplace, a dining room with fireplace, a spacious open kitchen, and a toilet. If you are thinking of rental income or want two families or a group of friends to share a property together this is definitely one to think about. 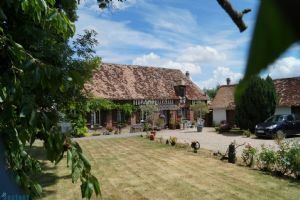 This quality property, in easy reach of Evreux and Rouen, is within a pretty village, and is entirely enclosed and secluded. 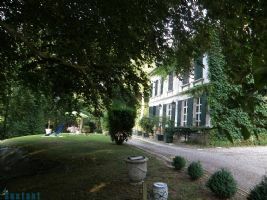 This is a 700m² property dating from the 18th century, between Paris and Deauville, set one 1 hectare of sheltered parkland, some of which has current planning permission. Comprising of 10 bedrooms, one 100m² lounge/dining room with beautiful high ceilings, 1 reception room with bar, 1 cinema room, 2 kitchens, 4 bathrooms, 2 showers and 7 toilets. There is also an outdoor bread oven, a garage originally for horse and cart, and a covered barbecue space, with a combined area of 160m².